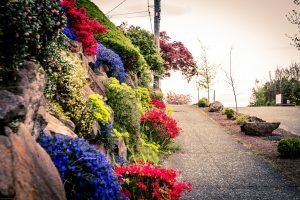 Have you considered a move to the Seattle neighborhood, Magnolia? 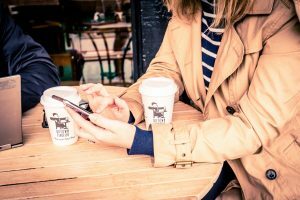 Here are our TOP TEN reasons why we love it! 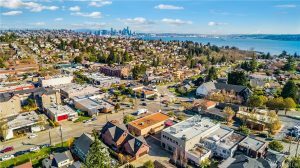 4 Miles to Downtown Seattle / SLU. 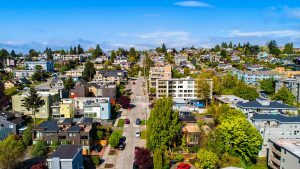 If you need to commute to Downtown Seattle or Southlake Union, it’s really the best neighborhood. Completely avoid the “Mercer Mess” and head West – away from the freeway when making your way home. There are also various routes – Denney, Mercer, Westlake, so you can always check your Maps to see which one is better on any given commute day. 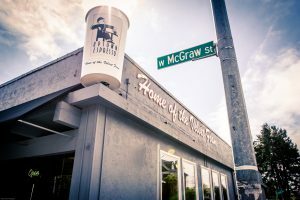 If you want to head into the city for a show or nightlife, a quick drive (or Uber ride) on 15th takes you right into Belltown. Head a few miles North and you’re in the heart of Ballard. 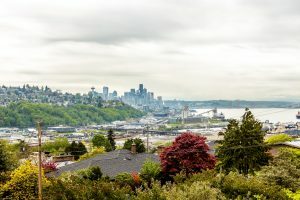 For being so close to Downtown Seattle, Magnolia has an “old school” suburbs feel to it. I am not talking about today’s suburbs with track houses, I am talking about the classic suburban feel from the 50’s and 60’s. Many of Magnolia’s homes were build in the 40s – 60s. You will still find some beautiful tudor homes from the 1920, some remodels, and also some brand new modern construction homes. With the eclectic mix of architecture styles, the neighborhood layout is still very classic and has an adorable “downtown”. Discovery part is a 534 acre natural area park operated by the Seattle Parks & Recreation. 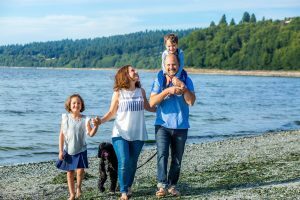 Situated on Magnolia Bluff overlooking Puget Sound, Discovery park offers spectacular views of both the Cascades and the Olympic Mountain ranges. 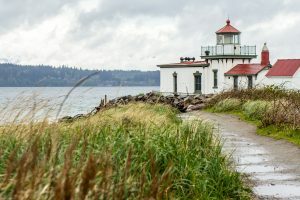 Enjoy the historic lighthouse, beaches, and hiking trails. Restaurants: Nikos, Mondellos, Serendipity, Ichiro’s, Magnolia, Maggie Bluffs, Queen Margherita Pizza, Palisades. Shopping: The Brick, Vixen Day Spa & Boutique, Magnolia Garden Center, Magnolia’s Book Store, Seasonal Farmer’s Market. 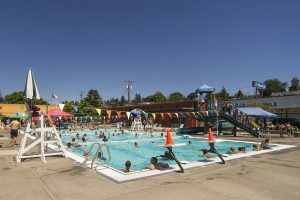 Mounger Pool has two great pools. The Big Pool is kept at 85 degrees and has 5 ladders and a 50-foot corkscrew slide. The Little Pool, warmer at 94 degrees and shallower, is great for relaxing and teaching your little tadpoles. Magnolia is like an island. There are minimal ways to the neighborhood and is surrounded by water. This keeps the neighborhood streets filled with mostly locals, which keeps this roads more clear. Magnolia residents don’t have cars driving thru to get to other neighborhoods. 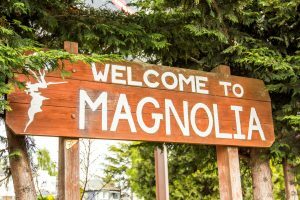 The anticipated relocation of Expedia to Magnolia has also increased it’s appeal. 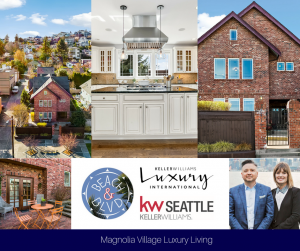 Magnolia boasts some pretty amazing views – water views as well as city views. This is our favorite park in the city – Ella Bailey Park. 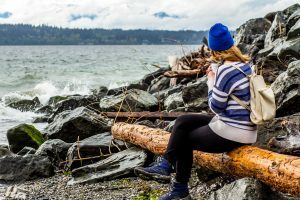 From here you get an incredible view of downtown Seattle, Elliot Bay, and you can even watch the cruise ships come in. 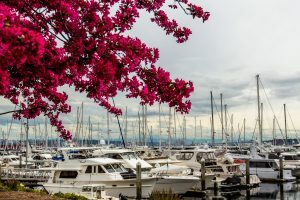 If you love the water – there are a couple of Marinas!